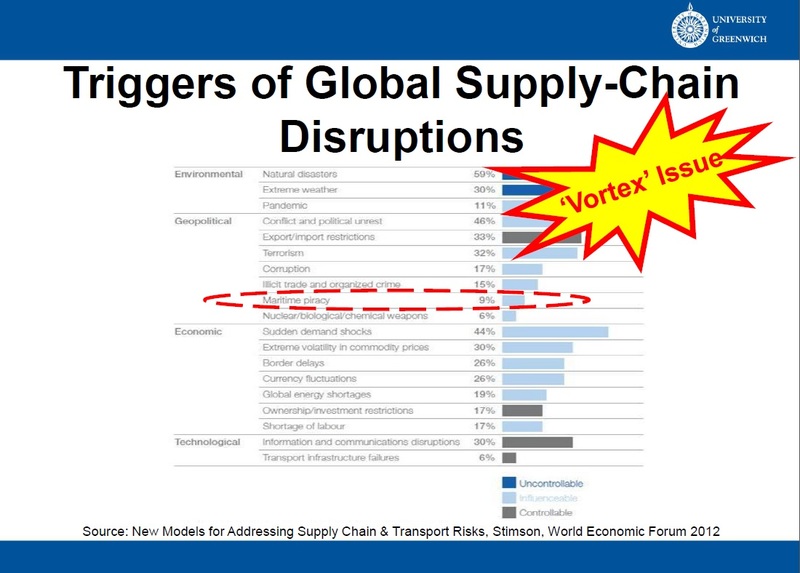 Maritime piracy is considered as a geopolitical trigger of global supply chain. Below you may have a picture of the public’s perception about the maritime security and piracy. This is what we call a ‘vortex’ issue because when something pops up in the middle of the ocean, makes the headlines for few days, couple of weeks and then dies out , nobody remembers a thing about it. However there are two groups who cannot forget the incident, seafarers and their families and also high-level managers who are working for shipping companies. West Africa, Gulf of Guinea, East Africa – mainly Somalia, Malacca Straits are considered as the hotbeds of maritime piracy. There is one important thing to remember; what you are looking at these areas is just the tip of the iceberg. Just to scratch on the surface a little bit and give you the tip of the iceberg; Latin America makes its way to Europe for cocaine, ivory transits from East Africa to West Africa into Southeast Asia. Cocaine is a 1.5 billion dollar business a year and ivory is a 30 million dollar business a year. Arms transit from the peninsula into East Africa, human trafficking from East Africa to the peninsula, heroin from the subcontinent onto East Africa and from East Africa to Europa in the Southeast Asia. I.U.U.F, which stands for Illegal Uncontrolled Unreported Fishing, is a 2.0 billion dollar business a year makes its way from West Africa to Europe and Asia. ‘By chance’, piracy’s hotbeds worldwide are mostly failed states; this is something to mull over. 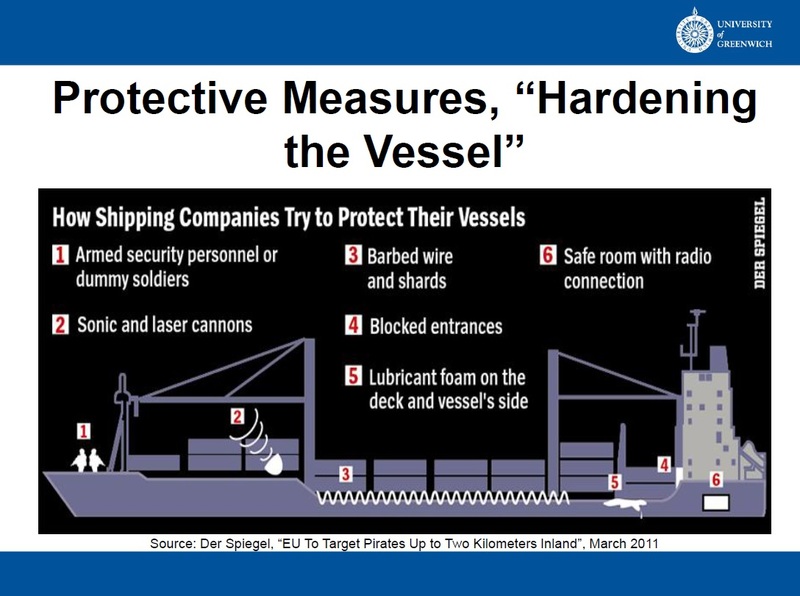 When it comes to maritime security, this is not a linear world, it is a world full of curves, so you think you are dealing with a crime however, in fact you are dealing with jacks of all trades. One year they play piracy, next year cocaine and the following year they play unregulated fishing. Massive corruption for both areas which is the common denominator of seaborne crime all over the world! 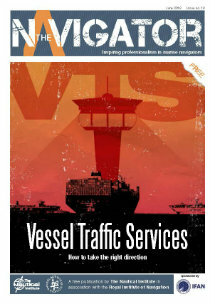 The article was initally published in SAFETY4SEA. 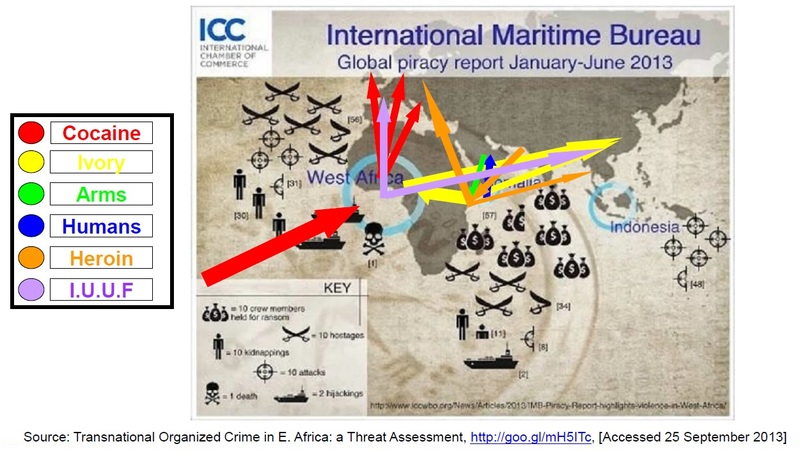 An interesting paper regarding maritime piracy written by George Kiourktsoglou & Ale cD. Coutroubis can be found in the following link: Is Somali piracy a random phenomenon? 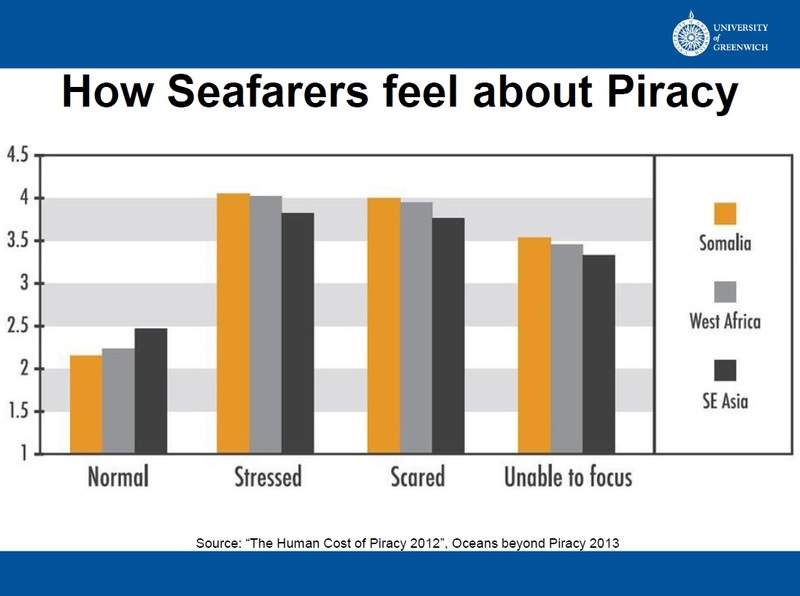 « Is Social Media a Good Thing for Seafarers?